Good compared to most Delhi South Indian eateries but falls far short when it comes to comparison with the likes of South Indian Biggies like Saravana Bhawan or Murugan idly. He is not just a roadside thelawala – Quite organizd. U buy coupons, pay cash to a guy sitting in a chair with a table. Get ur food from the guy in the thela counter. Tried 3 things – medu vada, idly & masala dosa. 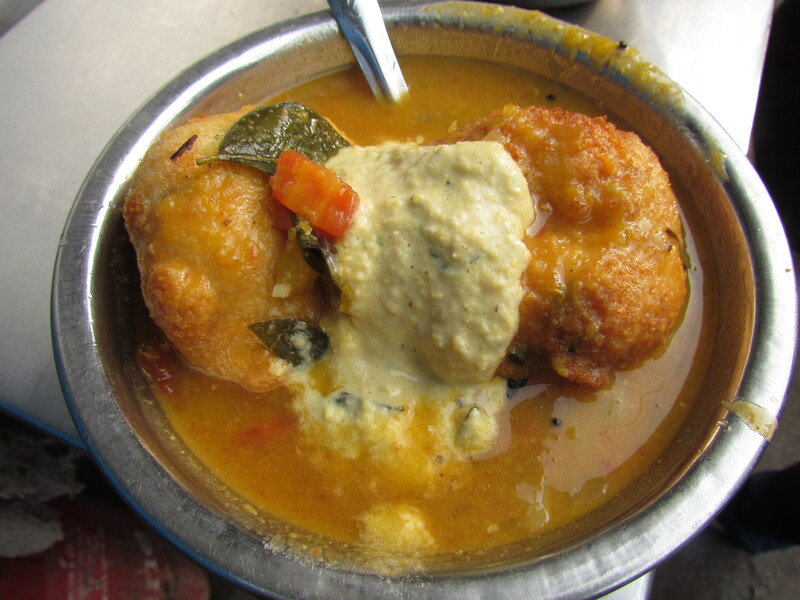 Before we cud tell them not to mix, they had dipped the idlys & vadas into sambhar & poured chutney on top. So we had no option but to carry on. Medu vada is not fried instantly but brought fried from another location – good soft inside & crispy outside. Luckily, we were told, the vadas had just arrived. Rest of the flavors dies due to its untimely immersion into hot piping lentil soup but I cud still sense a nice fermented flavor to it. Can surely revisit the thela to have this. Idly was better than the Delhi based South Indian eateries like Kaustubh, Nayvedyam etc but nowhere as compared to a SaravanaBhawan or a Murugan Idly. 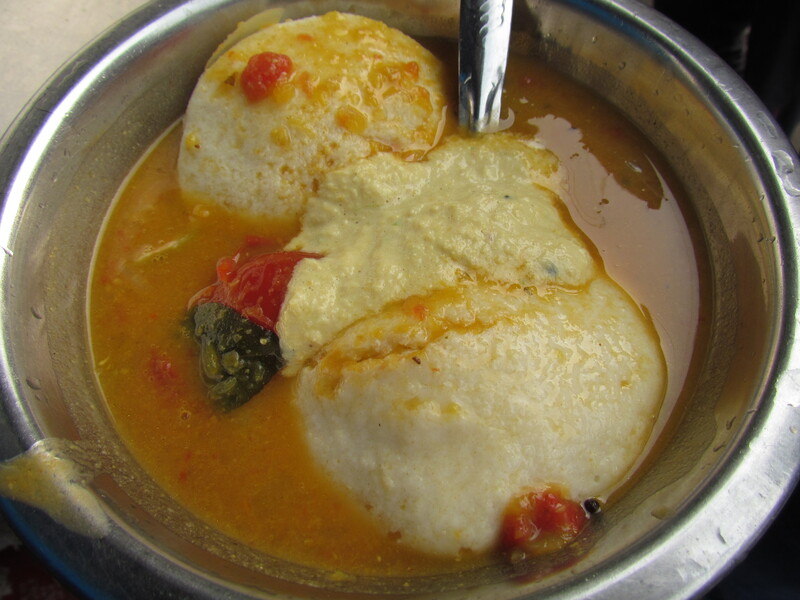 I wud not go to Kanagam to eat idly again but if I happen to b in the vicinity & if I am hungry, I wud surely order idly. The dosa was not bad but nothing great as well. 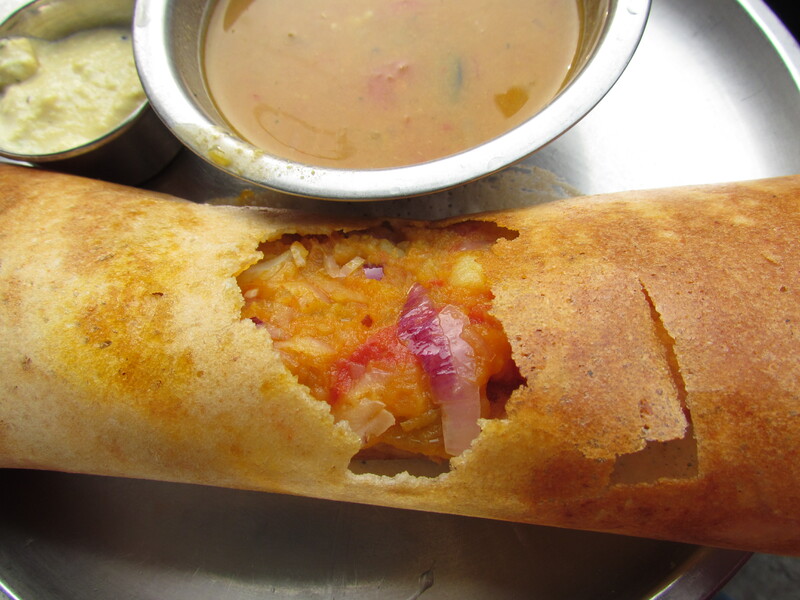 They made a paper dosa without asking – usually people ask if u want regular or paper. It had no taste except the crunchy nice texture. 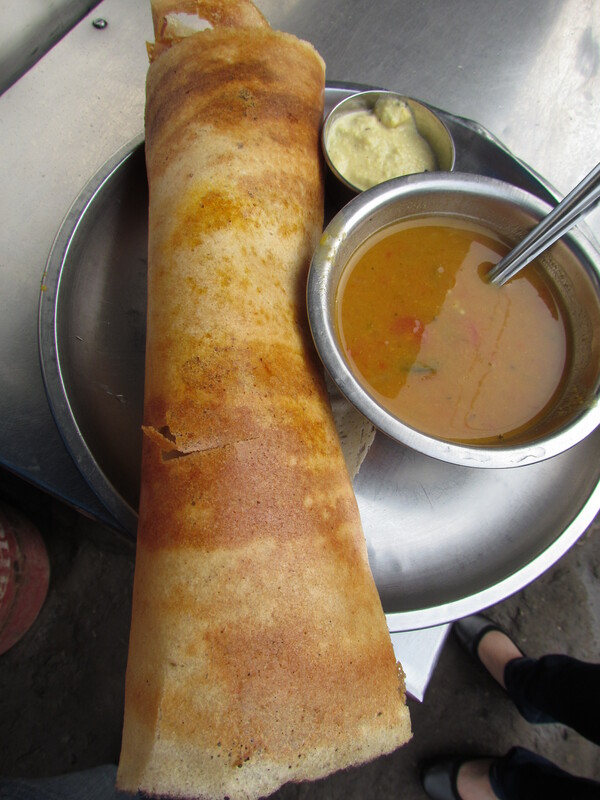 No flavors coz it had almost got deep fried in oil – if fried in ghee or butter, paper dosa tastes good. The filling cud have been a North Indian dish as well. No South Indian flavors in it. Did not taste bad but surely did not taste authentic. I happened to catch a glimpse at how it was being made – they were just mixing boiled potatoes with curried tomatoes & onions & also raw onions. It being Delhi, the proportion of tomatoes in everything was excessive starting from the sambhar to the filling, thus tending to make the sambhar tomatoeee. The chutney was very thick, slightly suboptimal salt, had little coconut in it & lots of daal. Good but I have had better. The thelawala whom I ate dosas from in Kolkata @ Rs. 10 for a plain dosa was much better. If I am already there & hungry too, I might eat an idly. 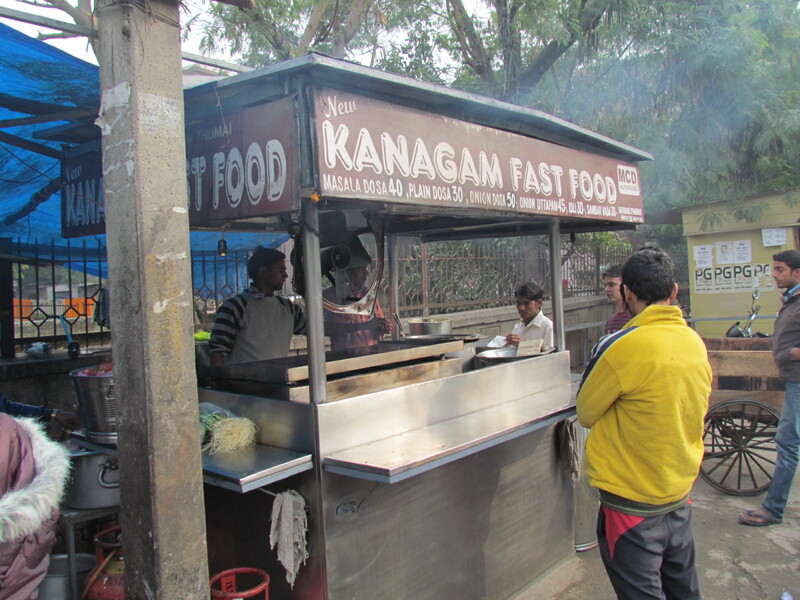 If I am in Saket & starving, & do not have the time to ‘get into the malls, park the car etc,’ I might eat a dosa from here to fill my stomach…………. Not for the taste of it.